PET washing line refers to the waste plastic, after plastic equipment such as crushing equipment, washing equipment and dewatering equipment, the waste plastics are reintegrated into a new, reusable washing line process. Lianguan Recycling Machinery has developed PET washing equipment. 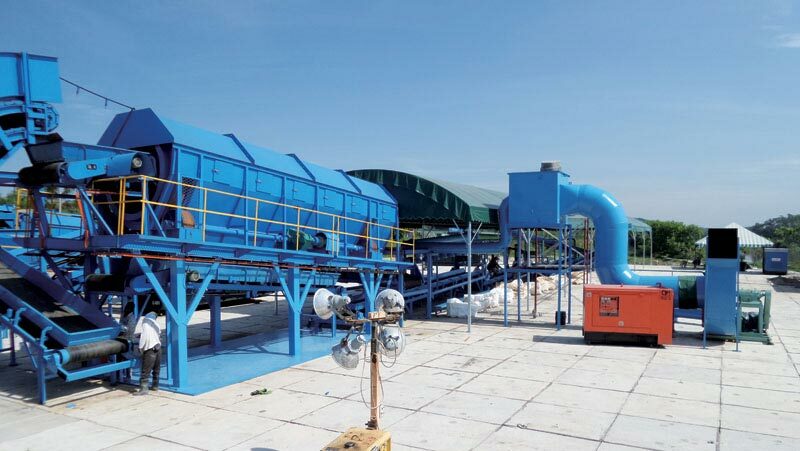 The PET bottle crushing and washing equipment integrates crushing, washing and drying. The device has a simple and elegant appearance and strong applicability. It can crush and wash the bottle of mineral water bottles, plastic barrels and coke bottles, through crushing, washing, drying and heating, plasticizing, drawing, cooling, granulating, and processing can be used directly as recycled materials. The PET washing equipment has the characteristics of low power consumption, high quality of finished products, and low cost. The recycling of PET plastics generally refers to the use of PET bottles, after proper processing and reduction to PET, for remanufactured products.The caps on the PET bottles that are separated from the PET bottles can also be recycled together. PET washing line is the ideal solution for processing dirty PET bottle bales into “hot washed” PET flakes. Using our standard series of high-tech recycling machinery, the PET flakes produced are not only clean, but contaminant-free making them perfect for use in producing polyester staple fiber or further processing into plastic granules via pelletizing. Lianguan Recycling PET washing line, available with capacities between 500 kg/hr – 3,000 kg/hr, is a highly efficient, fully automatic washing line that is electronically controlled via a central computerized control panel and cabinet.